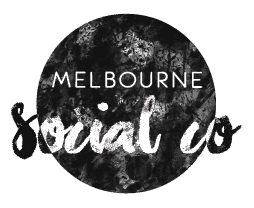 Melbourne Social Co is an established boutique creative agency, based in Yarraville. Being the busy agency that we are, we’re now recruiting for an Admin & Social Media Assistant to join our team of 15. Working closely with the Director and Senior Accounts & Operations Manager, you will assist with day-to-day admin tasks to support the operations of our agency. You will also be tasked with assisting our content and community management teams with the execution of social media campaigns on behalf of our clients. We’re looking for an up and coming social media marketer who is initially available 2-3 days a week, working from our Yarraville studio. We’re looking for someone who may have recently completed a degree, with some relevant industry experience, is passionate about our industry and hungry to learn and grow with our team. There is potential for this position to grow into a full-time role for the right candidate. Please email [email protected] with an expression of interest and a copy of your CV. Please no phone calls.